In 1980, art house audience word of mouth about an unusual new movie, ""Return of the Secaucus Seven"", launched the career of director John Sayles and with him the era of the independent filmmaker. Sayles has remained a maverick, writing, directing, editing and even acting in his own films. This fully updated and revised edition of the 1998 book chronicles Sayles' career - including the story of his inauspicious beginning as a second-string actor, and his work in fiction, theatre, music videos and television. 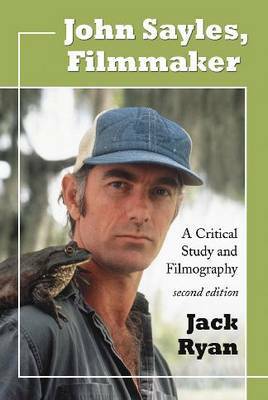 A chapter is devoted to each of Sayles' feature films, offering background material on production funding, a plot sketch, an analysis of important characters, and a look at the language, setting, and politics. Each chapter also traces Sayles' technical development - his camera work, editing, musical arrangement and mise-en-scene. The book includes a complete filmography and a bibliography.